Folks - there are four types of marketing problems and none of them are insignificant. If you don't get your marketing sorted YOU AREN'T GOING TO HAVE A BUSINESS. Full stop. The end. I know marketing mojo may not be everyone's fave, but you dismiss it at your peril. 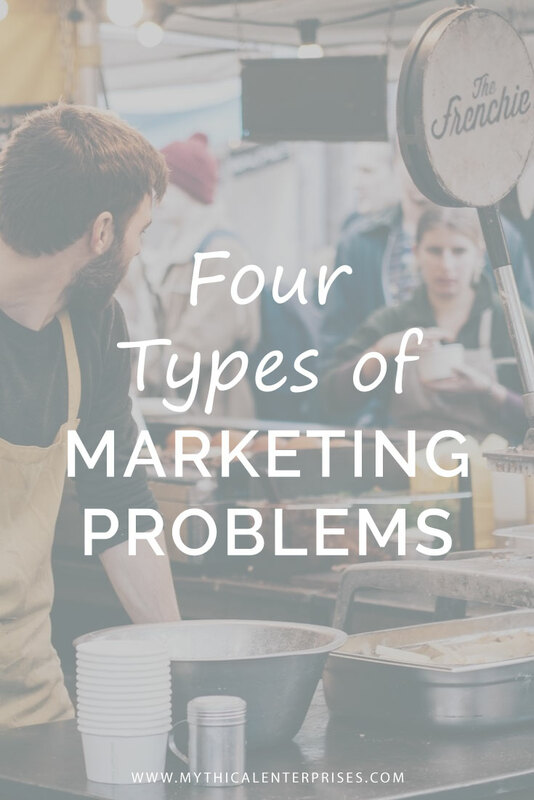 There are four types of marketing problems. You need to address all of them. And they need to be resolved in order, elseways you are spinning your wheels. 1 - The offering isn't sourced in your gifts and talents so it doesn't HUM with your energy. Blink. Everyone passes it by. 2 - The product doesn't meet a pain point that your buyer feels. Blink. Potential customers don't care. 3 - The copy doesn't engage the emotions of the buyer and evoke urgency to solve the problem. Blink. The audience moves on. 4 - The offer isn't finding the people who need it. Blink. It doesn't land and the money moves on to other things. Most people are trying to solve #3 and #4 without tackling #1 and #2. If you don't resolve these in order, you'll wind up with pretty copy that doesn't sing with soul energy or beautiful marketing that doesn't meet a need. Which one challenges you the most?